Erkki Ikonen received the M. Sc. (Tech.) and the Dr. (Tech.) degrees from the Helsinki University of Technology, Department of Technical Physics, in 1982 and 1988, respectively. Since 1995 he has been Professor of Measurement Science and Technology at Aalto University. This is a joint Professorship with the Finnish National Metrology Institute, VTT Technical Research Centre of Finland Ltd since 2005. 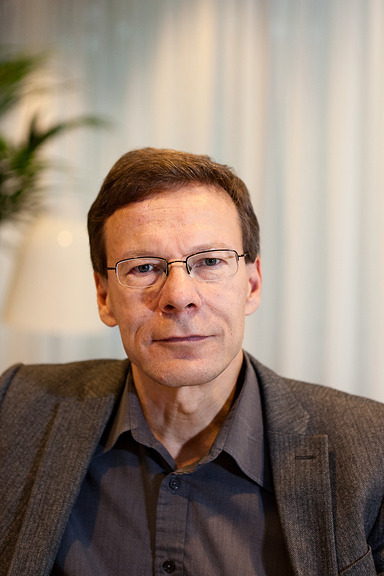 Erkki Ikonen is a Member of the Board of Directors of EURAMET e.V. and Chairman of the European Metrology Programme for Innovation and Research (EMPIR) Committee of EURAMET during 2016-2021. He is also Vice President Technical of the International Commission on Illumination (CIE, Vienna) during the term 2015-2019. His earlier positions include Assistant Director, Helsinki University of Technology, Department of Electrical and Communications Engineering (1989-95) and Research Scientist, VTT Technical Research Centre of Finland (1988-89). Erkki Ikonen has chaired international scientific committees of several conferences arranged in Europe, US, Asia, and Australia. He is an author of 190 peer-reviewed scientific publications and over 150 conference papers. His research interests are mainly in the field of optical measurements where he has supervised 35 doctoral degrees at Aalto University.